Welcome to www.tskstudio.com: the online portfolio of artist Thomas S. Kerese. It's been years since I've painted a pumpkin, but when the only other option on a boring Sunday is a House Hunters marathon, you paint a pumpkin. Decided on the Joker from The Dark Knight; maybe a few years too late but I've always dug how creepy they went with the character. These are great, Tom! You need to brag about your blog so people see it and appreciate your art. 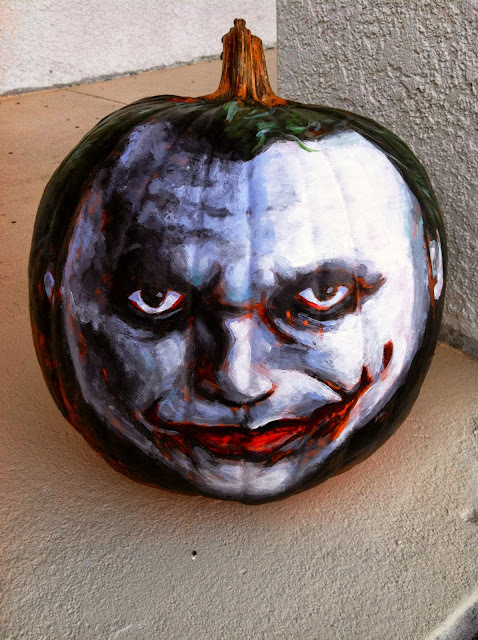 I'm loving the painted pumpkin! TSKstudio © 2012. Simple theme. Powered by Blogger.